The first wide small car. Gotta love it. The woodgrain, the color, the slotmags, the whitewalls, they all fit together perfectly. 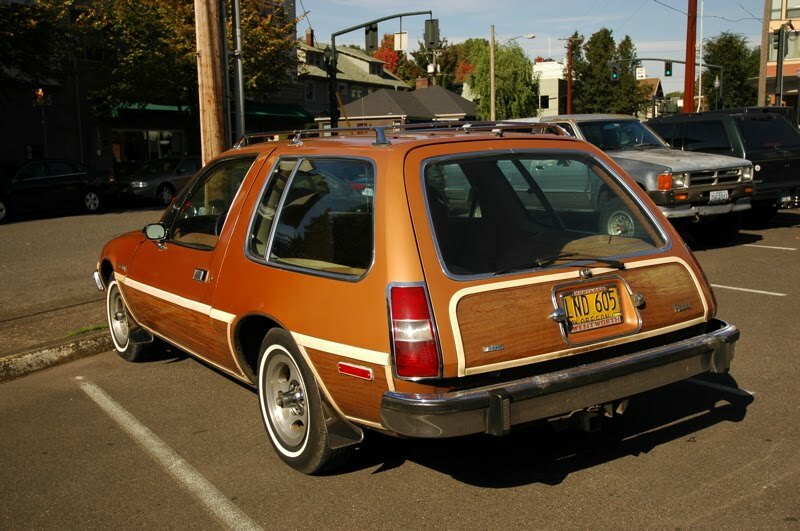 Dude..I actually bought one back in 1979. Looked exactly like this one. Rode well, handled great. Lots of get up and go. Lots of room inside for my wife, me, and two boys. Traveled on several vacations with it. 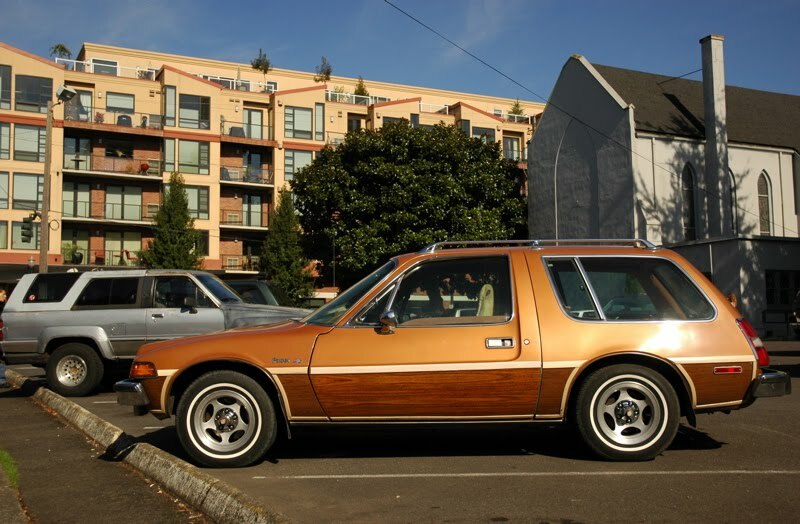 I traded for a Chevrolet wagon in 1986..not near as good a car. it kept falling apart on me. 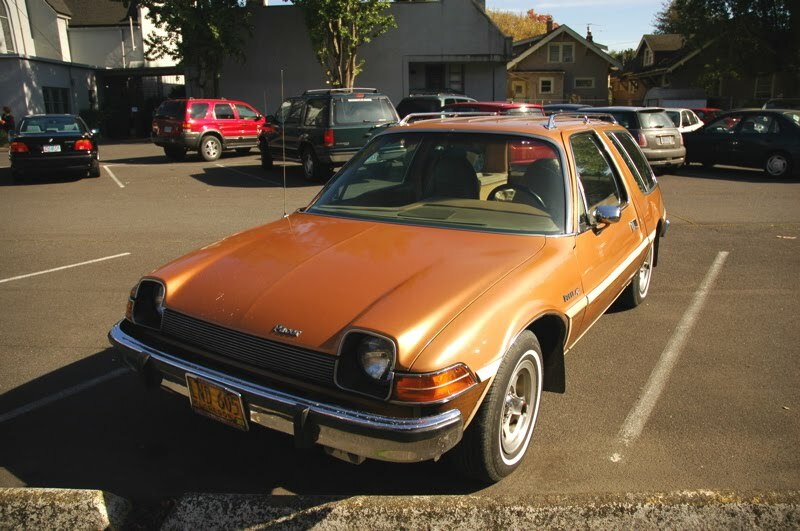 Wish I still had that old Pacer. 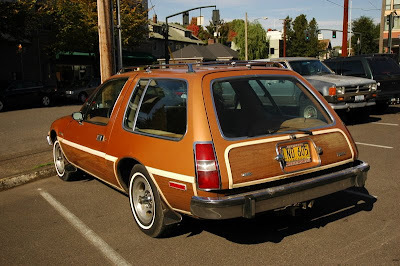 It's actually a 1977, they didn't make wagons in 1976. I own a 1979 Pacer Wagon that I'm restoring, and I love every minute of it. Great little cars, better than the Pinto and Monza by a long shot, although I'd eventually like to have owned all three to make it a fair comparison. thanks, anon. i fixed the post title. good luck on your project, and i hope you one day own three pacers.